Need a fresh start? Want to live like Jason Bourne? Or just need a backup plan in case everything goes all to hell? Apparently, one way to do that up until now has been to get a fake birth certificate from Puerto Rico, then leverage that into a United States passport. “There are so many [Puerto Rican birth certificates] floating around… a lot fall into the hands of unscrupulous individuals,” said State Department Bureau of Consular Affairs spokeswoman Rosemary Macray. “We’ve uncovered many cases of people posing as Puerto Ricans” in applying for U.S. passports. For whatever reason, Puerto Rican birth certificates were seen as easy to forge. So easy, in fact, that the government of Puerto Rico is taking a radical step: invalidating every birth certificate issued on the island before July 1, 2010. 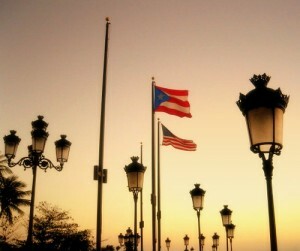 Everyone entitled to Puerto Rican documents will have to re-apply and get new ones issued. The massive wave of re-issues offers its own opportunity for fraud. Someone who was born on the island, but left long ago, might have difficulty proving that fact. Government officials are going to have to err on the side of caution. lest they accidentally strip someone of citizenship. And with that implicit leniency, comes the opportunity for fraudulent applications, possibly supported by fraudulent witnesses.